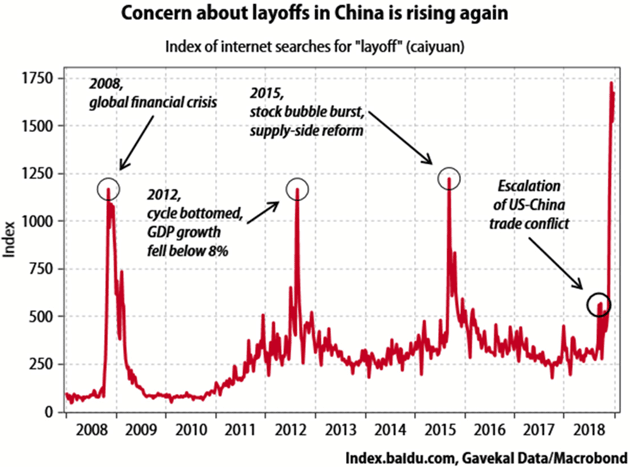 Now, this doesn’t mean Chinese employers are actually conducting layoffs. It means people are looking for information on the topic, and I think it’s fair to call that a sign of worry. What is causing this concern? 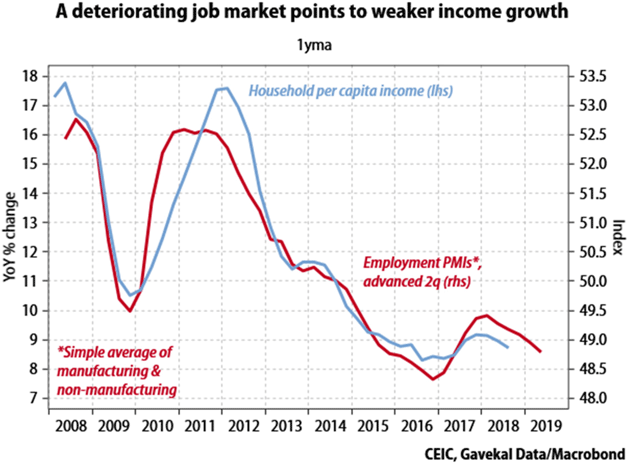 Do Chinese workers see something that bullish Western analysts are missing? I’m sorry that picture is fuzzy—it’s that way in the original, too. Here is how they explain it. 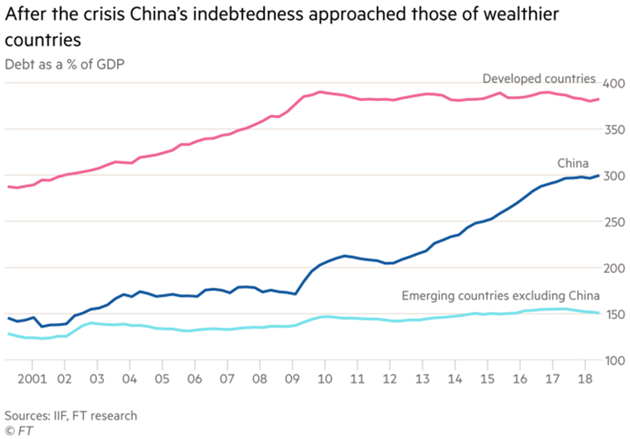 That being the case, now is not the best time for a trade war between the US and China. Yet we find ourselves in one. Let me again give my requisite disclaimer, since I always get letters saying, essentially, “China bad! 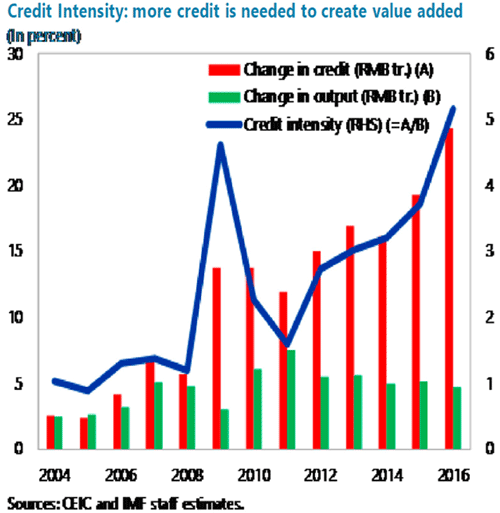 Must do something!” Yes, China hasn’t played fairly in a number of ways. I get that. We have issues and problems that need resolution. Prior efforts haven’t worked. I get that, too. 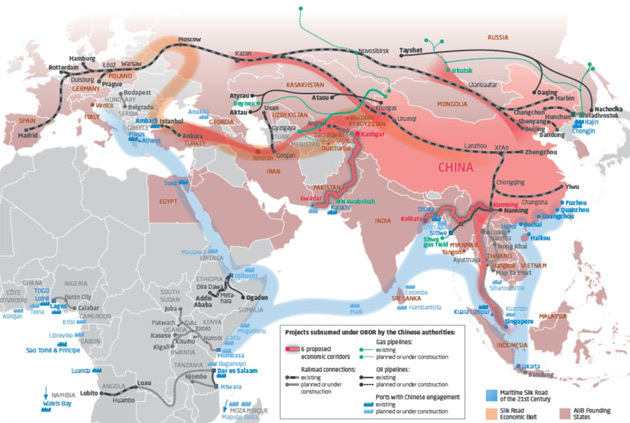 We have national security concerns about China, totally apart from our trade disputes. Granted on all counts. Listen carefully and you can hear the retreat of the Democratic establishment. Incrementalism served its purpose: it made Democrats electable again and safe for Wall Street. But it has had its day. The generation of Democrats that downplayed concerns about inequality and embraced global markets is being replaced by a far bolder political voice. No matter who takes the Democratic nomination in 2020, they will speak for a radicalised party in quest of the new New Deal. They owe a debt of gratitude to Donald Trump. However much resurgent liberals detest America’s 45th president, they can thank him for sweeping away the mindset of systematic caution that has mesmerised Democratic leaders for a generation. It began with Bill Clinton’s New Democrats in the late 1980s. It ended in 2016 when Hillary Clinton lost to Mr Trump. In between it spanned Al Gore, the losing 2000 nominee, John Kerry, who lost in 2004, and Barack Obama, whose eight-year legacy is now being destroyed by Mr Trump. Mr Trump has served both as a call to arms and as an example of how establishments can be defeated. On the first, Mr Trump has demolished whatever case remained for the idea that Democrats must forever ready themselves for a promised land of bipartisan amity. In practice, many thought that stance had already been discredited by Newt Gingrich, the take-no-prisoners Republican Speaker of the House during the Clinton years. Others thought the wrecking ball the Tea Party took to Mr Obama’s fiscal plans had finally settled the argument. No matter how much Democrats tacked to the centre, the rewards for this virtue never came. Republicans simply moved further to the right. Democratic presidents, such as Mr Clinton, created budget surpluses. Republicans, such as George W Bush, duly spent them on tax cuts. Inequality is far worse today than in 1992, even though Democrats held the White House for more than half that time. Median incomes, meanwhile, have barely shifted. The initial anger over the 2008 financial crash was captured by the Tea Party. It is nevertheless hard to believe the self-proclaimed socialist Bernie Sanders would have nearly defeated Mrs Clinton had she not developed such close financial ties to Wall Street. But it was Mr Trump who changed the weather. He showed that you could bamboozle a hostile establishment and still win an election. Then he switched horses and pursued an aggressive Republican agenda. From tax cuts and deregulation to gun rights and anti-abortion judges, Mr Trump now has Republican lawmakers eating out of his hand. Those who still believed it would be possible to work across the aisle — and who pined for the days of Rockefeller Republicans — were robbed of any remaining force. Mr Trump has done a service for the American left. Reality has also lent it a helping hand. Regardless of your ideology, today’s numbers paint a stark picture. Ten years into the US recovery, median household incomes are, in real terms, still much what they were they were in 1999. The top one per cent of households own more wealth than the bottom 90 per cent. America’s average life expectancy has started to decline. Mr Trump has made inequality worse. But he is not its author. The numbers were almost as bleak at the end of Mr Obama’s two terms. So tinkering no longer holds much appeal. Much of the focus is on who should be the Democratic nominee to challenge Mr Trump. That obviously matters. 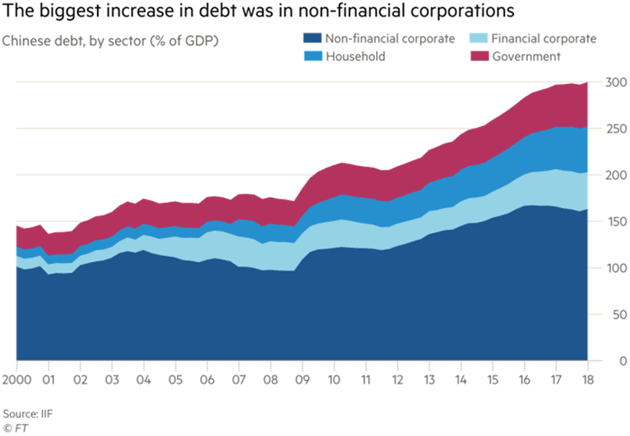 But the significant point is that the party’s centre of gravity has shifted. Whoever the challenger turns out to be, whether Joe Biden, the former vice-president, Elizabeth Warren, the economic populist, Beto O’Rourke, the sunny optimist, or Mr Sanders, their platform will have to reflect that shift. Stances such as “Medicare for all”, a “Green New Deal”, and public election financing will have to be part of the package. So too will higher taxes. Attention has also been lavished on Alexandria Ocasio-Cortez, the 29-year-old Democratic socialist and youngest member of Congress. More notable is the respect her ideas, including a top tax rate of 70 per cent, commands among establishment Democrats. “The congresswoman is right,” Lawrence Summers, Mr Clinton’s former Treasury Secretary, said last week. Mr Summers personified the Washington consensus of the 1990s. Like Keynes, however, he says he changes his mind when the facts do. They no longer fit the arc-of-history Democrats used to narrate. “The false doctrines of the neoliberal priesthood are losing their hold,” writes Nick Hanauer, the entrepreneur who made his fortune with Amazon. America’s left is turning into a factory of new ideas. Some of them, such as a universal basic income, may be questionable. Others, such as breaking up monopolies, are more promising. Either way, for the first time in decades, America’s intellectual energy is now on the left. Some liken the ferment to the “bold persistent experimentation” of Franklin Roosevelt, author of the 1930s New Deal. Doubters compare it with the false dawn of George McGovern, who lost in a 1972 landslide to Richard Nixon. Whichever view proves correct, the Clinton-Obama era is drawing to a close. A new one is just beginning. In 2013, Obama tried to maximize the difficulty. OMB is taking another tack. This weekend the federal shutdown becomes the longest in history—and yet, and yet, the sky has not fallen. Meet the team that has allowed the Trump White House to hold out for so long, and in the process forever altered future shutdown fights. Across the street from the Oval Office, an only somewhat merry band of budget lawyers labor on one priority: making this event as painless as possible. That was the order from President Trump when the government closed, and the Office of Management and Budget was ready. Acting White House Chief of Staff Mick Mulvaney had spent months as OMB director gearing up for a stoppage. Acting Director Russ Vought was all in. And OMB General Counsel Mark Paoletta and his small legal team (those not furloughed) has spent every day since putting out fires. It’s the opposite of prior shutdown thinking. The Obama White House used a 16-day shutdown in 2013 to punish Republicans for withholding funds, and in the process penalized the nation. The administration immediately furloughed workers and cut pay for private contractors. It shuttered Head Start, suspended money for health care in the District of Columbia, and sealed national parks, including war memorials on the National Mall. Some agencies had carry-over funds that would have allowed them to continue operations; they refused to use it. Some shutdown pain is unavoidable—and correctly so. Both the Constitution and the Antideficiency Act are clear that only Congress appropriates money, and no one should want the executive branch to flout clear legal requirements. Shutdowns are also wasteful and highlight Washington’s inability to function. Yet since Mr. Trump “owns” this one, Republicans have an incentive to minimize the suffering. Congressional Republicans helped themselves by last year passing bills that kept most of the government open. As for the rest, it turns out the law provides some useful flexibility—when an administration cares to exercise it. A series of OMB memos stretching back to 1981 had already established certain shutdown exceptions. Agencies can continue to function as necessary to protect safety and human life and property, as well as in aid of the president’s fulfilling constitutional duties. Those programs that operate under “indefinite” appropriations, including Social Security and Medicare, also continue. The current OMB team has employed some of these doctrines in ways past administrations haven’t but which nonetheless make obvious sense. The Food and Drug Administration, for instance, has on the grounds of safety continued to monitor adverse reactions to medical devices, conduct foreign drug-factory inspections, and watch for outbreaks of food contamination. Lawyers have scoured other statutes for legal outs. It turns out that Congress’s latest spending bill, the continuing resolution that ended Dec. 21, contained a provision allowing the government to pay certain obligations that came due within 30 days. That’s allowed OMB to rush food-stamp payments for millions of Americans through February. It was the Interior Department’s own reading of prior statutes that allowed it to use entrance fees to keep national parks open. That’s also why Americans will still get tax refunds. The OMB team dug through Treasury documents and found that long ago the Internal Revenue Service had determined refunds fall under permanent, indefinite appropriations. IRS workers are being recalled from furlough to process them. Some critics claim these workarounds are “illegal,” but lawyers say the Trump team looks to be on sound footing—especially given these decisions have been approved by career OMB lawyers. And also because the Trump team continues to nix proposals that fall too close to the legal line. Yet there are no legal fixes for some truly painful effects—including Friday’s missed paycheck for 800,000 federal workers. And many patches were one-time wonders. There can be no additional payments for food stamps or for the Coast Guard. The pressure on Mr. Trump will only rise from here, and some Republicans are already nervous. Prepare for a lot more talk about national-emergency declarations. But no matter the immediate outcome, the administration’s “painless as possible” approach has shifted the appropriations landscape. House Democrats will have to confront a new set of political calculations in budget negotiations during the Trump presidency. And future administrations will have a harder time justifying ugly shutdowns, in light of this example. Yet another way the Trump administration has changed Washington. The car became a commodity. Commodities do not produce the transformation on which American life is based. Over time, the U.S. auto industry had to deal with competing commodities produced by countries that thrive on them. German Volkswagens and Japanese Toyotas poured onto the U.S. market, while U.S. auto industry managers remained frozen in their processes, assuming their product was eternal. By the 1970s, Chrysler was crumbling. It is in this context that we consider Apple Inc., the tech giant that reported disappointing sales last quarter, causing its stock prices to drop. The microchip, a core technology that has been at least as transformative as the combustion engine, is commercially about 50 years old. (I held a Hewlett-Packard microchip-driven calculator in my hand in 1972.) The surge in American productivity driven by the microchip ended in the last decade. The products that flowed from microchip technology – the computer and the cellphone among them – remain indispensable to society, but they have already transformed our lives. In the early years of the auto industry, when new models rolled out of Detroit, everyone was transfixed. Now, a model year means almost nothing. When cellphones first emerged and when Apple created devices that received email, took photographs and provided navigation, in addition to taking calls, consumers greeted each new generation with genuine, almost hysterical anticipation. Yet the microchip, the cellphone and the smartphone also have become commodities. Countries that excel in commodity production have taken over. Most of Apple’s products are manufactured in those places. It’s been a while since Apple or any of its peers has introduced a cellphone feature that has revolutionized the way we live. Jobs, Gates and Grove – the original tech disruptors – are gone or have moved on. Computing and cellphones are no edgier today than an Oldsmobile was in 1965. The technology is simply part of our lives; the launch of Apple’s $1,000 cellphone met with the same tepid response that greeted the Edsel in 1958. The Edsel was just a car. New iPhones are just phones, and these days nobody lines up at the Apple Store to buy them. The endless, merciless search for the next big thing that will change everything is what drives the United States. When it’s found, it does just that. But America is easily bored and takes miracles as commonplace. It has no pity for the old, and the old cannot grasp that their time has passed. This is what is happening to the U.S. computer industry, like the auto industry before it. The latter saw itself as the center of American culture and was shocked when the culture moved on. It couldn’t adjust. Apple is now feeling that same pressure and can’t imagine that it will soon be as uninteresting as a minivan. Today, we hear the computer industry emitting the first sounds of the appeals the auto industry made in the 1970s: The Federal government must do something, since without our industry, America is not America. The microchip economy will demand that Federal policy focus on their needs. It might work for a while, but the need even to ask is the first sign of commoditization. This progression – disruption, maturity, decline – has played out in industries from railroads to electricity. Once revolutionary, each became a commodity, no longer the source of a tenfold return on investment. The U.S. rapidly absorbs core technologies, and they become quotidian. There is an interesting quirk to this cycle. We can sense that something new is coming, but we all assume it will be more of the same. The first half of the 20th century centered on transportation – cars, planes and rockets. In the 1960s, visions for the future included rockets flying between cities and to the moon, cars that were also boats or planes, personal helicopters, or personal jetpacks reminiscent of “The Jetsons.” Imagination is constrained by the moment. The most radical thought we have is often that the future will be like the present, only more so. It never is. Silicon Valley and its observers are convinced that artificial intelligence will sustain microchip-driven industry. But the one thing we don’t understand is intelligence, and creating an analog to something we don’t understand is a dubious venture. That humans will create enormously more powerful computers is almost certain. Like intercity rockets, though, this endeavor raises the question of cost. How much will it cost to save hours of airplane flight? What is the cost of replacing a human’s mind with a simulation? I could be wrong – AI may live up to all the promises. If that’s the case, it will revolutionize not only how we live but the very rhythm of technology. When a radical breakthrough reaches maturity, we await its next act – but there usually isn’t one. I remember holding that HP calculator without the slightest idea of how it would transform the way we live. I looked to the transportation industry to whisk me to Paris for a night and back home for finals. I wish it had. Apple is living out an old story in American society, but it’s only at the beginning. We will expect more disruption from the company and its industry. There’s much money yet to be made. But the next extraordinary moment will not come from the tech industry. The managers must maintain stability. The next wave will surprise us, and we will not recognize its importance until years after it emerges. The United States constantly reinvents its past and longs for the future. That is the foundation of its power. It has no mercy on what is passing away and worships that which is coming to be. American nostalgia has many shapes; for me, it is the BlackBerry. Its successor, the iPhone, won the battle (if not my heart). The iPhone now begins its slow transformation from totem to automatic transmission. It will be something that was once exciting, something that still exists but that no one really cares about. LAS VEGAS—One of the most exciting things I’ve seen at this year’s CES tech show was a man putting a TV together. It looked more like he was hanging photos. He’d grab square tiles off a pile, attach them to the wall, then screw a small plate up top. A moment later, the surface would spring to life. He’d attach another, and it would extend the picture. He built a TV one tile at a time, and it looked awesome. 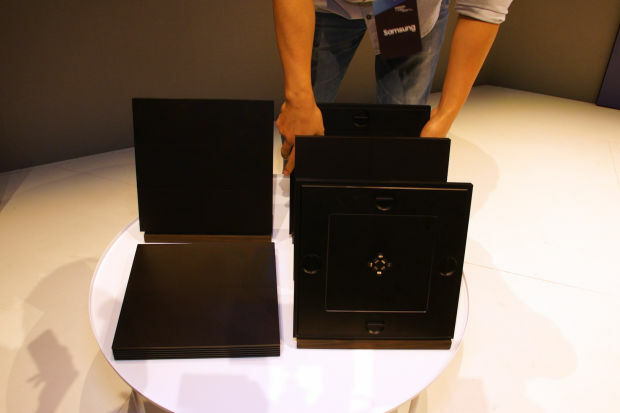 This particular set was a prototype of a new Samsung modular TV project. At CES, the company displayed screens as small as a magazine cover and as large as 219 inches—which it called, aptly enough, The Wall. Samsung’s goal is to let customers choose the exact size and shape of their own TV, assembled like Lego bricks. 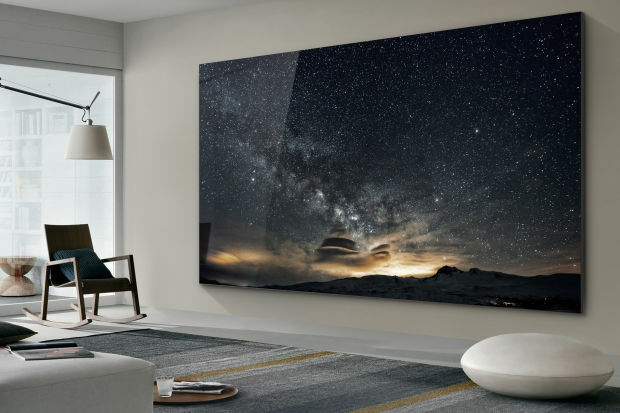 You won’t be able to buy The Wall for a while—and even then it’ll likely only be affordable to people who already own several yachts—but in the meantime, Samsung intends to sell a 75-inch 4K TV based on the same technology. It’s called MicroLED, and it’s worth knowing about now, because it’s the biggest change coming to screens in a long time. For years, LCD (aka liquid crystal display) has been the dominant TV tech. But LCD has a downside: Its pixels basically sit in a sheet of glass, and can’t be seen well unless there’s a big light—or many little lights—shining through it. Without the light, your TV would look more like an Amazon Kindle. Backlighting, though, means dark colors can only be so dark. More recently, a technology called OLED (aka organic light emitting diode) has hit the high end of the market. Rather than light needing to hit every pixel, or big clusters of pixels, the pixels can light up individually. That’s good for power consumption and great for picture quality: Any pixel that’s supposed to be black just stays off, which means deeper colors and better contrast. 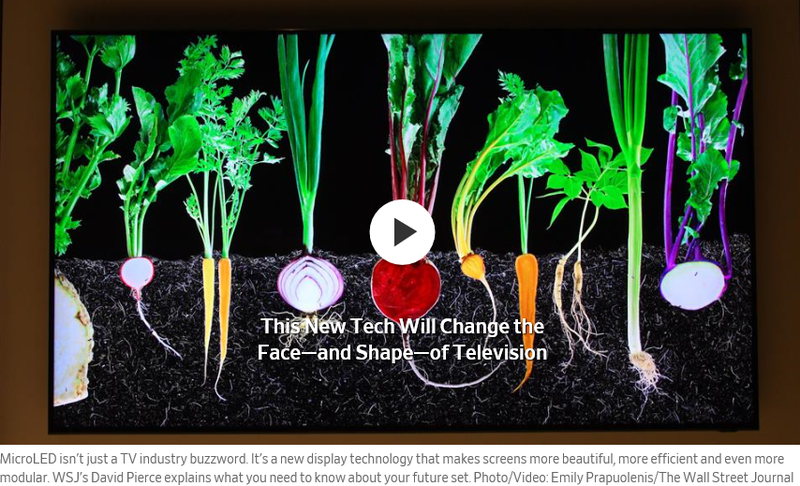 But OLED relies on organic compounds (hence the name), which degrade over time and can cause screen problems. MicroLED is, at least in theory, the best of all worlds. A MicroLED screen is made up of massive numbers of the teeny tiny versions of the LEDs you already know and love. Each is self-powered so it can have similar image quality to OLED, but MicroLED’s inorganic material won’t degrade over time or cause screen burn-in. MicroLED is smaller, thinner and brighter, too, so its displays can be even flatter and less power-hungry. 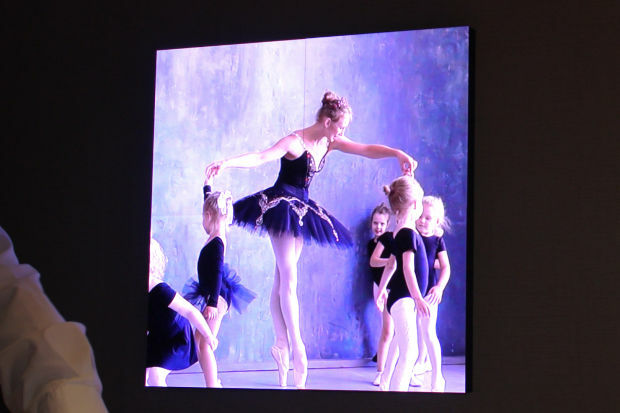 “MicroLEDs are the most interesting and exciting new display technology since the launch of OLED display products beginning in 2010,” said Ray Soneira, chief executive of DisplayMate, a display-technology research company. 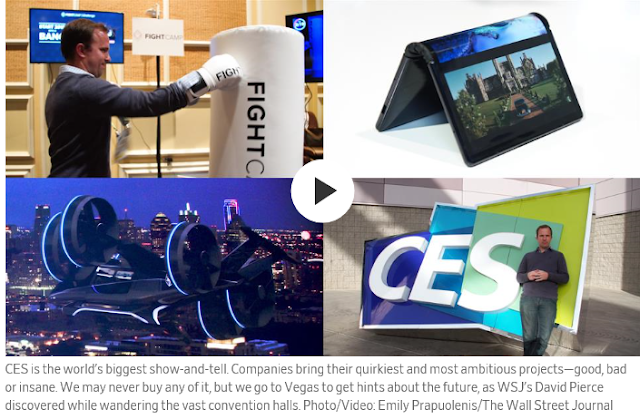 Samsung may have had the largest MicroLED display at CES—and may be hitting the market soonest with the first living-room-targeted set—but many other companies are working with the technology. TV giants LG and Sonyhave shown off MicroLED displays of their own. In 2014, Apple acquired a company called LuxVue that was also working on MicroLED displays. In some ways, the tech may be even better for smaller screens like phones or smartwatches, or future devices like VR headsets and AR glasses. Your phone’s display accounts for a huge amount of its battery drain. Who wouldn’t want a screen that uses less power, looks better and can change its shape and size? Your MicroLED TV is a long way off. “A very high proportion of displays using MicroLEDs will not happen in the next few years,” said Jamie Fox, an analyst with research firm IHS Markit . “It is still quite early in the progress of this technology.” As much as anything, it’s a manufacturing challenge: Your Samsung Wall would require careful placement of millions of tiny sub-pixels, each smaller than a human hair. That’s expensive, difficult and slow, three words nobody likes coming off the factory line. Still, MicroLED is the display technology to watch in the coming years. When MicroLED manufacturing ramps up, and costs go down, the idea of dotting every surface with pixels won’t sound crazy. William Shakespeare famously wrote, “All the world’s a stage.” More likely, someday not too far off, all the world will be a screen.